It appears as though Motorola doesn’t want to make the same mistake twice as a screenshot of the Verizon inventory system shows the unannounced XOOM 2 tablet with 4G LTE connectivity built-in and internal memory capacities up to 64GB. The original Motorola XOOM only had access to Verizon’s 3G network and was sold with the promise that users could send it in to Motorola in the future to upgrade the device. This hardware upgrade was to make it compatible with LTE. However it took much longer than many owners would’ve liked. When the LTE upgrade was finally made available, the XOOM was already heading towards obsolete status. XOOM 2. The one bearing the model number MZ617 is the 10.1-inch version while the MZ609 could be the smaller XOOM 2 Media Edition. 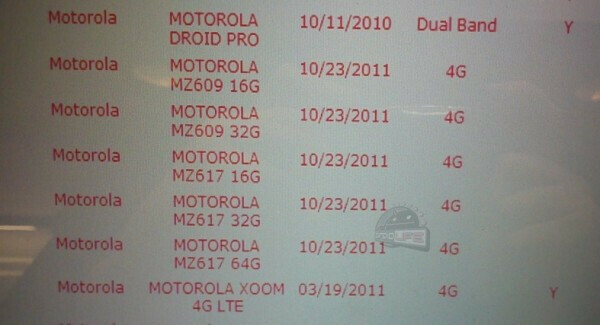 Each one will have 16GB and 32GB variations while the larger XOOM 2 will have a 64GB model. 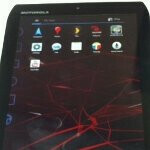 Hopefully the Motorola XOOM 2 won’t be under wraps for too much longer. There is likely a big wave of second-generation Android tablets and this device will most certainly be part of it. Check out the screenshot and tell us what you think. Hope Xoom 2 has a better screen than the original. Please make the prices reasonable. I really don't want to pay 800 dollars for this.